So today I wanted to show you some looks that for some reason or another were never on the blog ...until today!! This first one was during a Kmart photoshoot I did in January..the result was AMAZING- you have to see the video HERE. ¡Hoy quería hacer un post algo diferente con todos los looks que han salido en Instagram pero que no habían salido en el blog!! Esta primera foto es de una campaña que hice con Kmart a principios de año...el video quedó espectacular, las invito a verlo por acá. With Grasie and Erika during our trip to Tennessee in early June, we got these fun tees at Walmart... because honestly...were the heck is Smithville,TN? Con Grasie y Erika en nuestro viaje a Tennesse junto a Teva. Encontramos estas camisas en Walmart y nos encantaron...porque honestamente: ¿donde carrizo queda Smithville, TN? En las Vegas con Gabo! During an event I hosted earlier this year with CUSP at Neiman Marcus. I wore this to a wedding by the end of last year. A lot of people asked me...the skirt and crop top are from a Venezuelan designer called Nabel Martins. Esto lo utilicé para la boda de una amiga. El set (falda +top) es de una diseñadora venezolana llamada Nabel Martins. While shooting an episode of People's Choice FOMO inspired by Kendall Jenner and her deep skirt slits. This gorgeous two-piece set is by Style Mafia. Uno de los looks mientras grababa un episodio de FOMO de People's Choice. El look fue inspirado por Kendall Jenner...y el set es de Style Mafia. 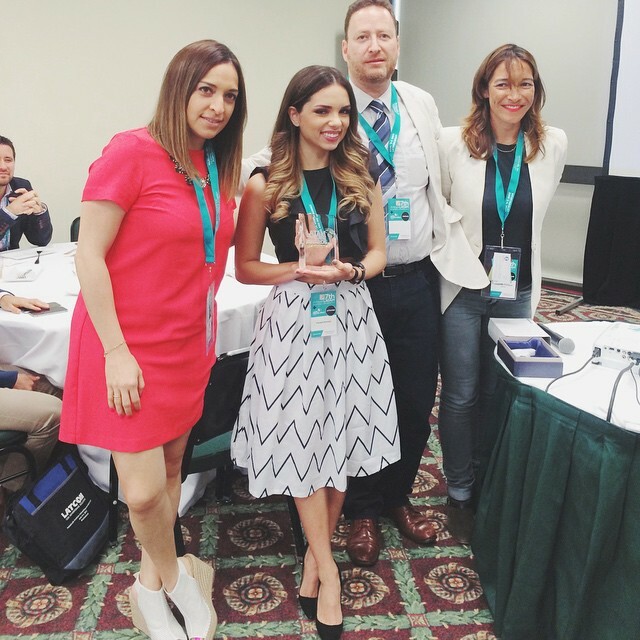 So excited, when I won the LATAM influencer award. Cuando me gané el premio de LATAM <3 <3 emoción total. Enjoying the 4th of July festivities!! Estrellas y rayas..¡por el 4 de Julio! Twirling because it was FRIDAY!! ¡Dando vueltas porque era VIERNES!! I wore this last November for the Latin Grammys' pre party. The set is from STYLE MAFIA. Esto lo utilicé para la fiesta pre-Latin Grammys. El set es de Style Mafia. On my way to get married!! What I wore to the airport! ¡¡En camino a Punta Cana con mi vestido de novia en mano!!! Sequins for the red carpet!! Lentejuelas para la alfombra "verde". Super sleepy on my way to New York Fashion Week in September! ¡Con mucho sueño en el aeropuerto yendo a la semana de la moda en Nueva York! Shooting a pre-wedding video on Viscaya in Miami. 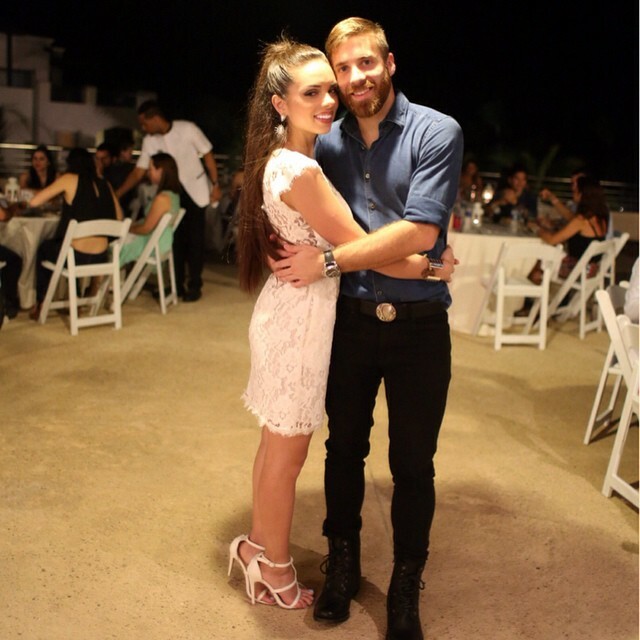 El día antes de la boda en Punta Cana! Not sure where I was going but it was definitely cold! Otro look de aeropuerto, no estoy segura a donde iba pero hacía mucho frío! Another behind the scenes from our shooting with Kmart. Otra de cuando estábamos grabando el video para Kmart...esta es Vicki y es un AMOR! At the wood cabin we stayed in Tennessee. En la cabañita en donde nos quedamos en Tennessee. Loved seeing a whole bunch of outfits like this! Where is that white skort from (with the black 'paint splashes')?? I LOVE it! The skort is from Kmart! The whole look is from Kmart...so cute right? Como debe de ser Bella ! Yo creo que esa personalidad es la que le ha gustado a la gente . Sigue así y mucho éxito ! I love all of dresses, and they are so so beautiful. Love the black heels and the red sandals!